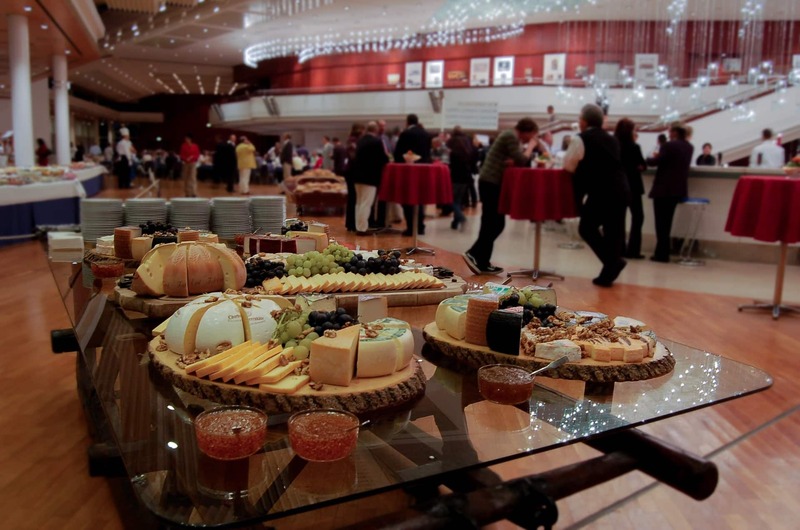 If you are not worrying about what you will feed your employees, as well as purchasing all the necessary essentials for the meal, you have an increase of time to spend making the other details of the event or meeting flow seamlessly. You can focus your time and energy on the agenda of the meeting, working on your presentation or adding other exciting details to the schedule. Less stress for you means that you can focus on the most important aspects of the event and let Thomas Oliver’s Gourmet Catering & Events take this weight off your shoulders. Corporate meetings and trainings are sometimes dreaded by employees so by freeing up your time, you can find ways to ensure your meeting will be a positive and engaging experience. Picture yourself trying to shoulder the burden of feeding everyone at your next corporate meeting or event. Even if you assign a few employees to help you out, with the time you have, you will not be able to provide a mouth watering, succulent and memorable meal. Remember happy employees mean a successful business. So make your employees happy with a meal they won’t forget! With Thomas Oliver’s Gourmet Catering, you can select from a wide range of entrees, side dishes and desserts that will match the mood of any corporate event your business is providing. A buffet station is a great idea and our pasta station is the perfect choice for a corporate dinner. Choose from tortellini, penne, tri-color totini, farfalle or fusilli pastas with their choice between homemade marinara, alfredo or olive oil with garlic and white wine, vodka or pesto sauces. Add some homemade sides like baby glazed carrots drenched in honey and butter or roasted asparagus spears brushed with garlic olive oil and you have a meal they won’t soon forget. Before a corporate event, you are finalizing details and the last thing you want to worry about is paper products or how to serve ice for the drinks. This is where Thomas Oliver’s Gourmet Catering saves you. Food preparation and setup is a big job. We provide warming servers to keep the food hot, all the dinnerware and even black tie waiters at your request so you can focus on motivating your employees. After the event, you will be happy it is over and spending even one more second with clean-up is the last thing you will want to do. Leave it to us. We will take care of all the food clean-up so you can spend the final few minutes of your event shaking the hands of your hard working employees and thanking them for their time and effort. This time is vital, let us worry about the mess after. Corporate catering for NYC events and meetings is what we are good at. We are excited to help you plan your event and make it spectacular. Want a themed event? This is our specialty! Matching the atmosphere of your event with the food is what makes your corporate event something your employees will be talking about for a long time. We are a full service catering company and want to help you make your next corporate event a massive success. Call us today, we can’t wait to wow YOU!